Millions of workers across the United States log incredibly long or irregular hours. These committed, motivate individuals – though valiant in their efforts- do not escape the natural consequences of such demanding work. Fatigue is a real and concerning hazard plaguing many different work industries. From transportation to first responders, fatigue is an issue many employees combat daily. It’s time employers started addressing fatigue as a workplace hazard, and begin taking steps to mitigate it and its effect on employees. Mentally, physically, emotionally, and financially; fatigue can impose severe consequences on individuals and companies alike. First and foremost, the physical, emotional and mental health of workers should be the primary concern of any employer. Fatigue brought on by long hours of work and irregular sleep patterns can have serious impacts on an employee’s ability to perform his/her job effectively and safely. Accident rates increase when employees are not sufficiently rested. Symptoms of fatigue – including dizziness, impaired reflexes, inability to concentrate, etc.- endanger employees when they are on the job. Sleep Apnea, a condition associated with fatigue, plagues more than 20 million Americans. Still, Doctors believe these 20 million individuals represent roughly 20% of all those who actually suffer from Sleep Apnea. A study by Harvard University found that roughly a quarter of the United States population has an undiagnosed sleep disorder. The most recent estimate, in 2015, concluded that over 400 billion dollars are lost every year due to sleep disorders. This can be due to missed work time, loss of productivity, insurance payouts, etc. It is clear that sleep disorders and fatigue in the United States are a significant factor in occupational health and safety. Employers who wish to mitigate employee fatigue should focus on limiting extended and irregular shifts, promote employee wellness inside and outside of the workplace, and provide plenty of mental and physical breaks during the workday. Limiting extended and irregular shifts is critical to ensuring employees are getting enough rest in between work shifts. Currently, there are no Occupational Safety and Health Administration restrictions on these shifts. However, OSHA encourages Employers to refrain from scheduling employees for extended and irregular shifts on a consistent basis. If Employers must make use of extended shifts, then they should be sure to provide extra rests and breaks for every extra hour worked. Workplace wellness is a ubiquitous topic that should meld into every facet of the workplace. It has direct applications to work/personal life balance. However, workplace wellness also encompasses diet, exercise, and the ramifications these themes have on fatigue, energy levels , and health in general. Employers who wish to improve energy levels in employees should apply a well-thought and extensive workplace wellness program. This program should focus on all characteristics of workplace wellness, and not solely on one theme. A holistic approach to health is the most effective way to facilitate wellbeing in the workforce. Finally, understanding the role mental health plays in fatigue and work-ethic is integral to understanding the psyche of an employee. Employees who suffer from depression, anxiety, or other mental health issues are more likely to feel tired, drained, and are more vulnerable to sleeping disorders. Again, a holistic approach to workplace wellness will incorporate measures to mitigate mental health issues and raise awareness for their effects on employees. Fatigue is a natural part of life. However, we need to listen to our bodies when fatigue sets in. Working through some fatigue is normal, but pushing it too far endangers workers and has serious financial implications. 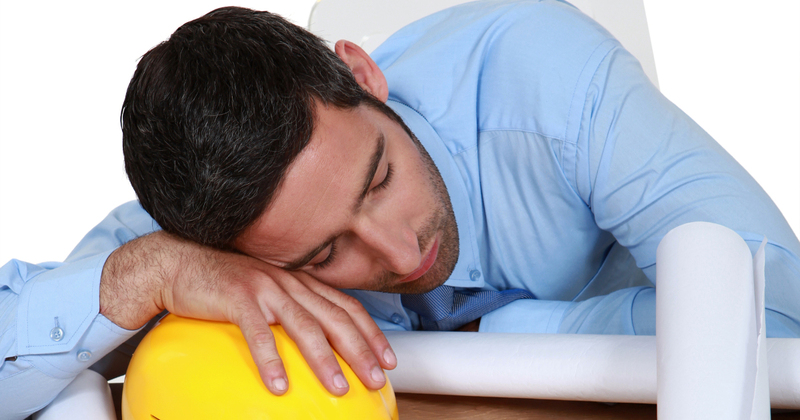 Put employee wellness first, and ensure fatigue is not bringing your workforce down.